Mary Settle offers us an intimate portrait of a Turkey rarely seen-a land where the cutting of a tree is a crime, where goats are sacrificed to launch state-of-the-art ships, and where whole towns emerge at dusk to stroll in the streets. She finds ancient monasteries converted into discos, underground cities carved out of rock, and sleek jet-set yachts alongside camels piled high with copper pots. She follows in the footsteps of emperors and nomads, sultans and shepherds; explores the trails blazed by Alexander the Great, Tamerlane, Genghis Khan, and Ataturk. 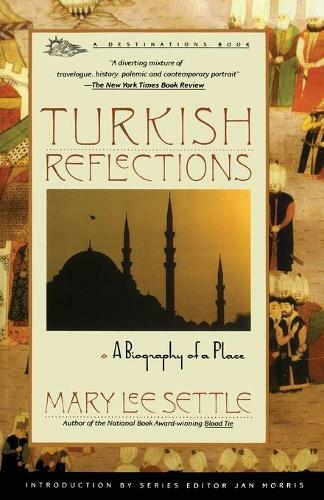 "Turkish Reflections" is a cross-country odyssey into history, legend, mystery, and myth.